For most crops, insect damage is a bad thing—both for yield and quality. With tea, however, we have this somewhat unique case of the so-called “bug-bitten” teas where attack by an insect actually improves the quality compared to an un-attacked plant by inducing chemical changes that are said to improve the aroma of the finished tea. Famous examples of this are Oriental Beauty (东方美人, dong fang mei ren), Concubine Wulong (贵妃, gui fei), and Honey-Aroma (蜜香, mi xiang) black teas. All three of these teas are originally Taiwanese, so is there something special about Taiwan? Well, when you dive into the scientific literature on leafhoppers on tea plants, most of the studies done in Taiwan are on a species of leafhopper known as Jacobiasca formosana, while most of the studies in mainland China talk about a leafhopper known as Empoasca vitis. So it seems safe to assume that maybe one of these insects causes “good” chemical changes in the tea leaves that increase the quality and the other species causes “bad” chemical changes that decrease quality, right? Well, according to a few recent studies, it turns out there is very strong evidence that they’re all the same species (Empoasca onukii), so the leafhopper responsible for Oriental Beauty is actually quite widespread! And it’s not something specific about geography either, as farmers in mainland China are beginning to adopt this technique to produce bug-bitten teas as well. So why is it that insect damage is a good thing only for these few teas? Why aren’t there any bug-bitten green teas on the market? I’ve done a bit of thinking about this, and it seems like there are only a handful of ways to explain why leafhoppers are considered pests on green teas, but can improve the quality of some wulongs like Oriental Beauty. The leafhopper causes the same chemical changes in all tea plants, but those changes are considered “good” in wulongs and “bad” in green teas. Green teas and wulong teas obviously have different criteria for judging, so maybe what makes an wulong good is actually undesirable in a green tea. This seems unlikely to me since there is a lot of overlap in the list of characteristics that make green tea and wulong tea good, but it is certainly the simplest explanation for this phenomenon. It may also be a simple matter of leaf appearance which is more important for a green tea like Longjing where any blemishes are easy to see compared to an oxidized, twisted leaf tea like Oriental Beauty. The effect of the leafhopper depends on processing method. In this scenario, the leafhopper still causes exactly the same chemical changes in all tea plants, but those chemicals get modified by different processing methods to create differences in the processed tea. For example, a leafhopper might cause a tea plant to produce some compounds that when left unoxidized—as they would be in a green tea—produce undesirable flavors, but when they are oxidized in wulong processing they become compounds with desirable characteristics in the finished tea. Leaves of different ages react differently to leafhopper damage. Ok, bear with me on this one. Most green teas are produced with only one or two leaves and a bud while most wulongs are produced with even older leaves included in the plucking. Maybe the leafhopper produces undesirable chemical changes in young leaves and desirable changes in older leaves. Then, if you make a green tea, you’re only getting the bad changes, but if you pluck for an wulong, maybe the good changes outweigh the bad ones. This one might seem like a stretch, but research shows that it is common for young leaves to respond to damage differently (and more intensely) than older leaves, so I think this is entirely possible. I’m hoping that you—the knowledgeable tea buyers, farmers, and consumers of the tea world (AKA Tea Geeks)—can rule out some of these possibilities or maybe add some that I’ve missed. Please let me know what you think in the comments! *These are just examples! Leaf hopper damage has been shown to increase hotrienol concentrations in wulong cultivars, but as far as I know, no one knows what it does to caffeine or what leaf hoppers do to chemicals in green tea cultivars. 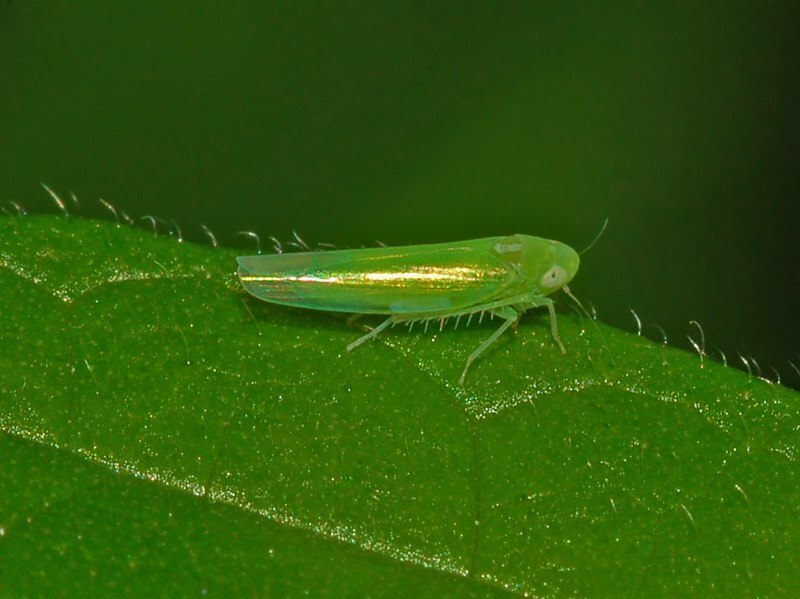 Posted on 3 February, 2016 3 February, 2016 Author Eric Scott14 Comments on Bug-bitten teas: why are leafhoppers only sometimes a good thing?